PLEASE NOTE: I will be on book tour September/October 2018 in the US and November/December (international). Get in touch for interviews, book signings, appearances, talks, and cooking demos that inform and inspire. I won’t lie: I actually hate the term “superfoods.” That’s because, when it comes to diet, the whole is greater than the sum of its parts—and that includes any individual food or single nutrient. Yet it cannot be denied that some foods are just more nutritious than others: there are indeed superfoods among us. Nutrition scientists have dedicated their lives to studying how and why what we eat impacts our health. And, while the science is ever evolving, we know more about nutrition now than ever before. This knowledge, if harnessed in your everyday diet, has the power to change your life. My goal is simple: to showcase some of the best foods the planet has to offer by highlighting nutritional details and fun facts you probably didn’t know about what’s on the shelves at your supermarket. 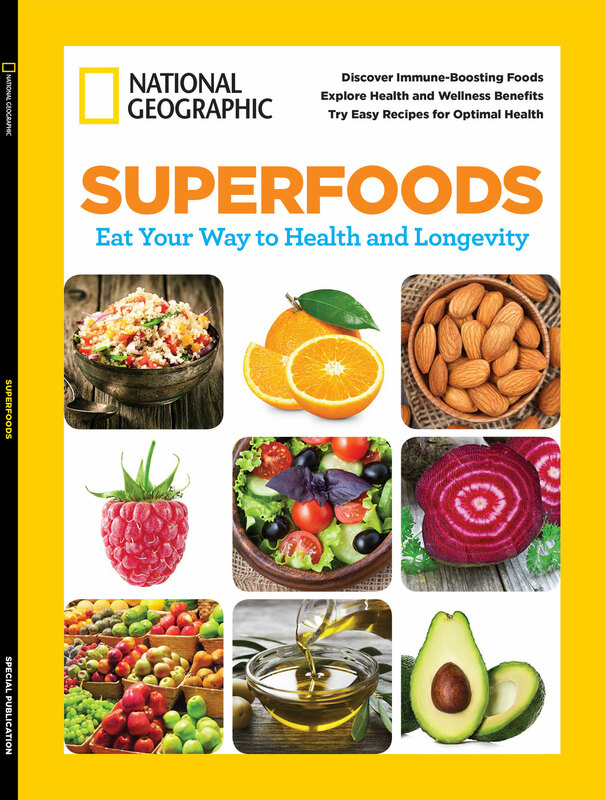 The magazine is filled with up-to-date, evidence-based information on 91 foods—including vegetables, fruits, nuts and seeds, beans and legumes, and whole grains—to guide you toward better health. Perhaps most importantly, I help you bring these foods to your dinner table through prep tips, pairings, and a few of my favorite recipes to help you live your healthiest life, deliciously. Author P.K. Newby. Published by National Geographic Magazine (Washington D.C., January 2016); this special edition bookazine may no longer be available. 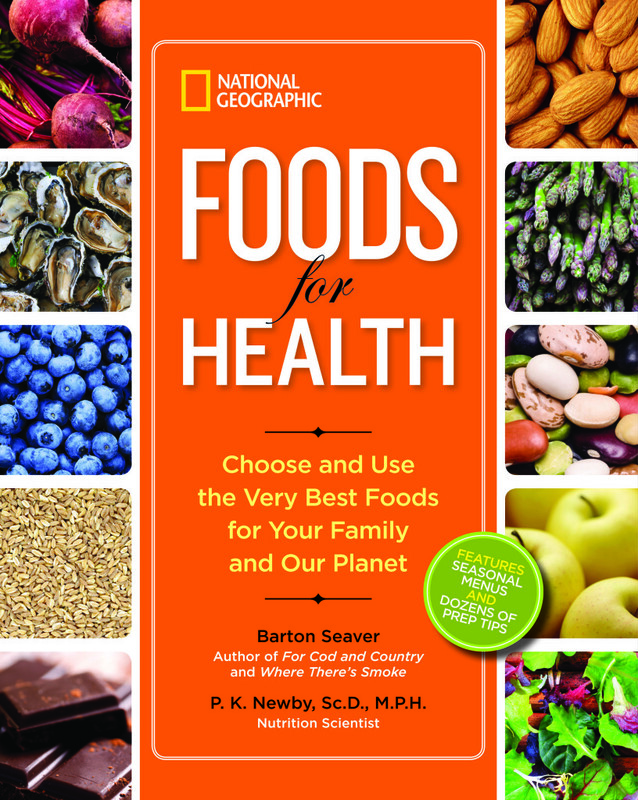 Some of the information was originally published in the below book, which has many more details on food history and also includes environmental impacts and prep and cooking tips. Many more plant based, globally inspired recipes and how-to articles on healthy eating are on my blog. 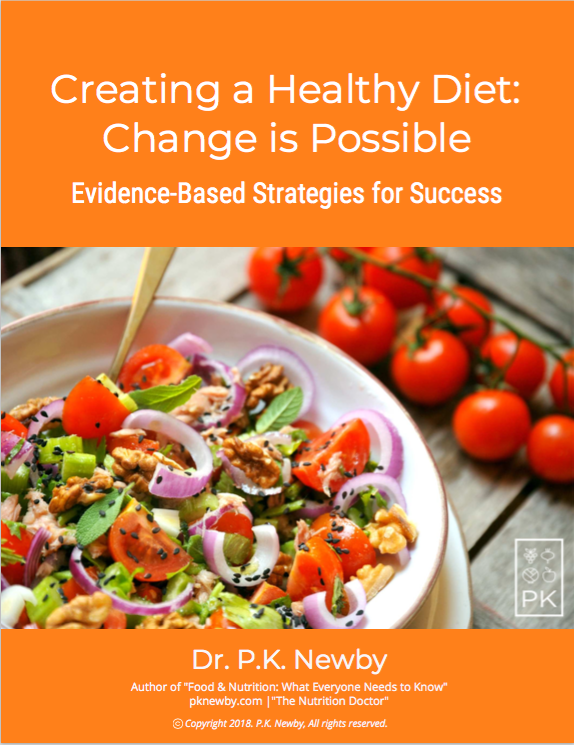 I envision this book sitting on a kitchen shelf or coffee table, providing you with at-a-glance information that will help guide your dinner choices in a way that optimizes health, reduces disease risk, increases longevity, and saves the planet to boot. Our goal is to provide you with a compendium that brings together key elements of what we grow and eat in an easy-to-use fashion, and you can leaf through each chapter, organized alphabetically by food across seven categories (vegetables, fruits, grains, fats, proteins, spices, and beverages). 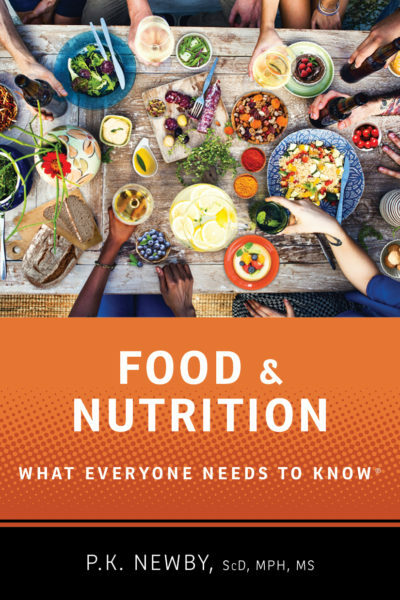 Each section includes historical and agricultural food facts as well as evidence-based information on nutrition, environmental science, and the benefits that healthy, sustainable eating bring. We’ve also included a few of our favorite cooking tips and techniques for selecting and preparing foods in ways you and your family will enjoy. The book also features a plant based, locally inspired menu for each season; several of these dishes, and hundreds of other recipes and articles on all things food and nutrition, are also on my blog. Author P.K. Newby (with Barton Seaver). Published by National Geographic (Washington D.C, October 2014). Please contact me to schedule interviews, appearances, talks, and cooking demos that inform and inspire.